"Moonlight Sail" at the pool bar! No, Ken and I didn't take Nirvana out last night! Although we'd love to take her out for a sail under the moon, we've only experienced the liquid version so far! 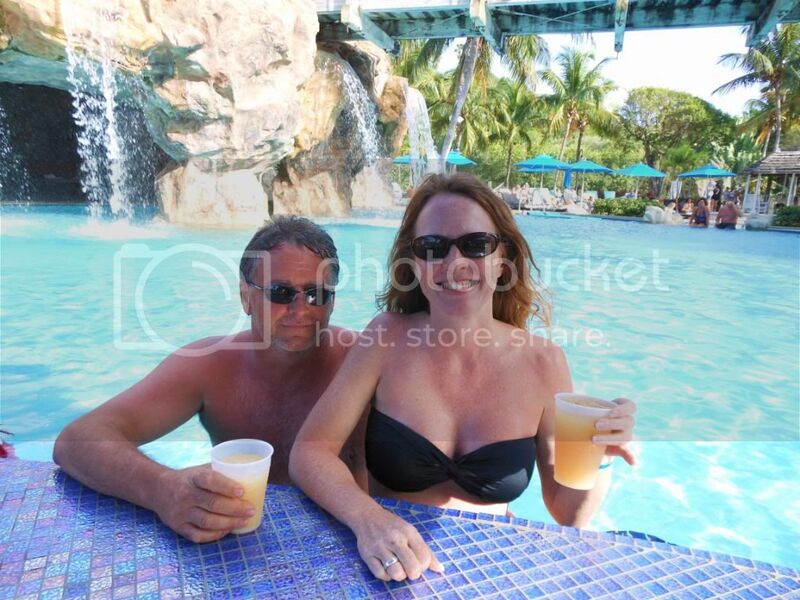 During our Virgin Islands trip this past April, Ken and I were turned on to a new drink at the Sugar Bay Resort. The drink was called a "Moonlight Sail", and it even though it was full of alcohol it tasted great and went down easy ... maybe too easy! Mix the four "poisons" together to taste, add some pineapple/orange juice and enjoy! Man, I wish we were back at that pool bar sippin' on a Moonlight Sail! I miss the islands already! I've not heard of this drink before, but I'd sure give it a try. I also wouldn't mind being at the pool bar either. I could do about a month on St. Thomas for sure. That sounds like a drink worthy of making on the boat. Yum!